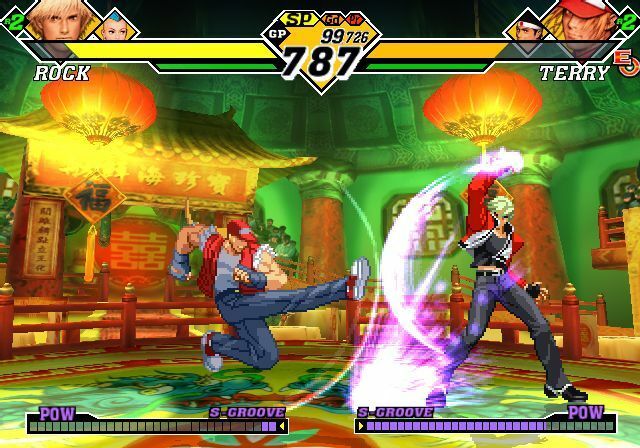 REVIEW: The highly anticipated sequel to the original Capcom VS SNK crossover, CVS2 stormed into arcades and consoles in 2001. 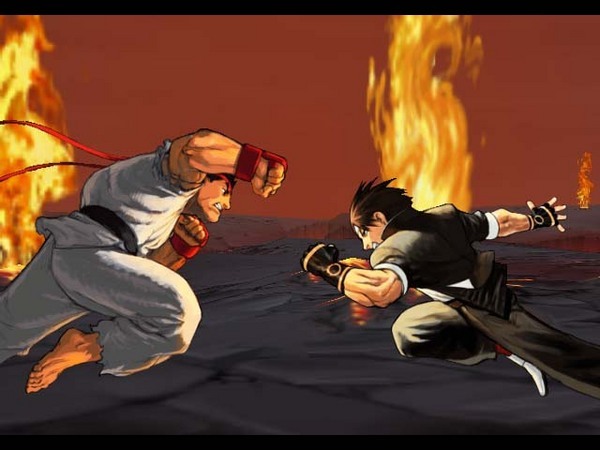 Capcom VS SNK 2 added a generous amount of new characters from both companies, and didn't feel so much like "King of Fighters VS Street Fighter," as the first game did. 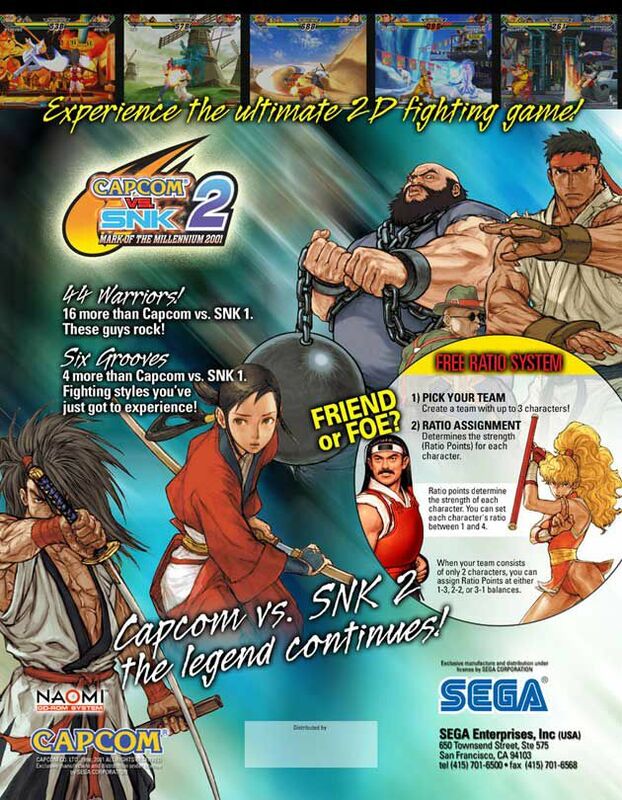 Capcom VS SNK 2 branched out much farther into both universes, bringing in fighters from fan-favorite series such as: Samurai Shodown, Rival Schools, Garou: Mark of The Wolves, The Last Blade and Final Fight. 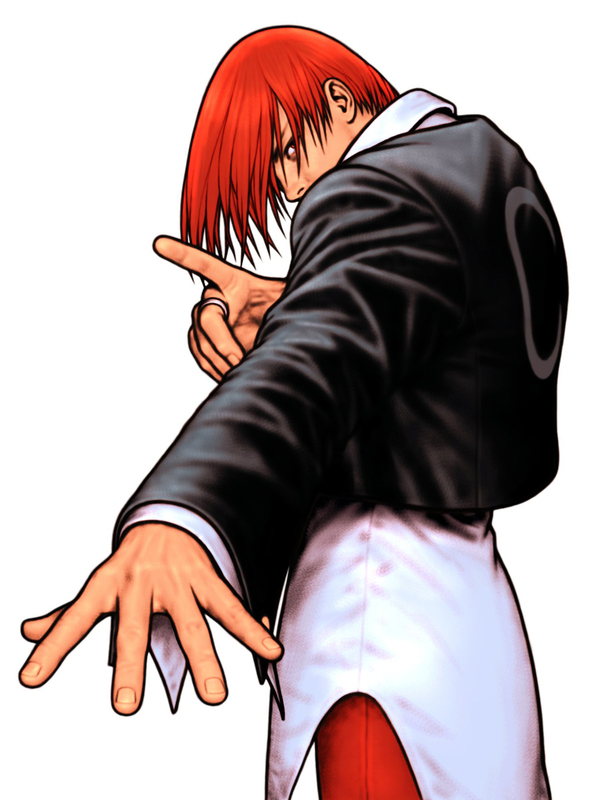 Not only did CVS2 feature all new artwork (drawn by both Capcom & SNK artists), a new soundtrack, and exciting new stages... but the gameplay system received a much needed overhaul, resulting in a much more dynamic, more fun gameplay experience overall. Love that selection screen. Forever. 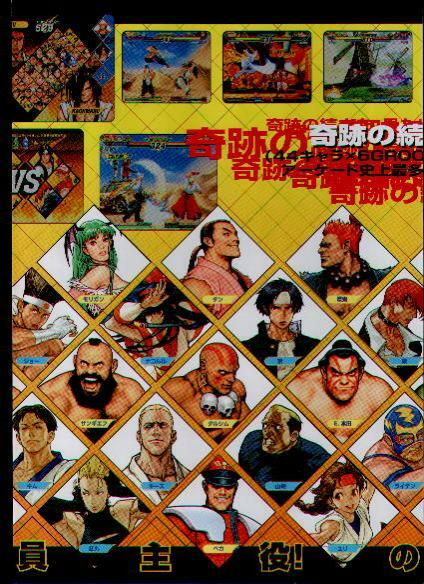 In CVS2, there are six different "grooves" to choose from after selecting your characters (instead of only 2 in the first game). 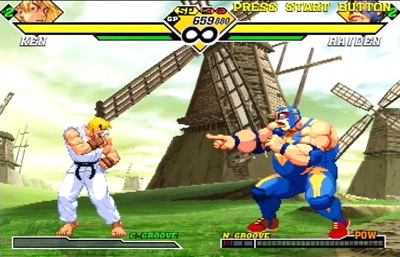 Each groove represents a different Capcom or SNK fighting game power gauge and has a variety of unique mechanics. 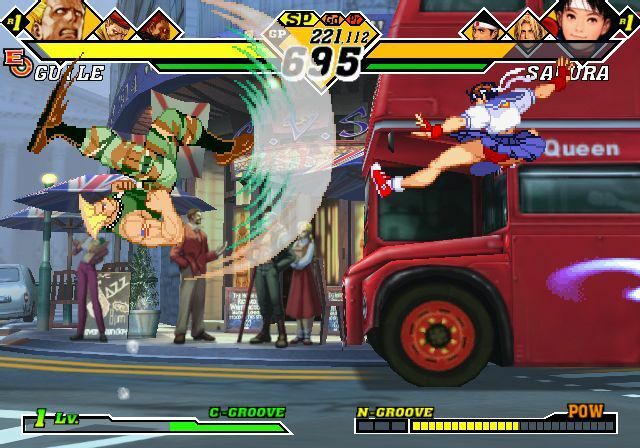 On Capcom's side, there's C-groove (Street Fighter Alpha 3 style), A-groove (Street Fighter Alpha 3 V-ism style), and P-groove (Street Fighter III style). 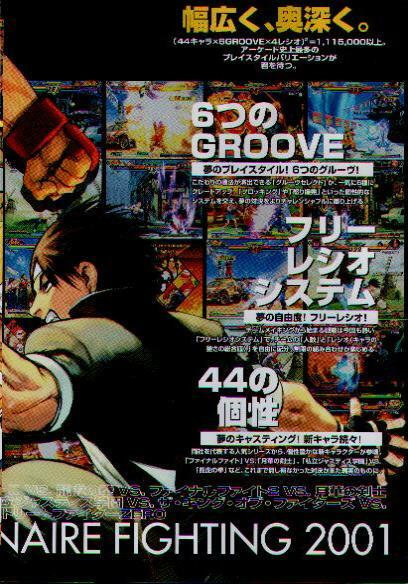 On SNK's side, you can choose from S-groove (KOF/AOF style), N-groove (classic KOF style), or K-groove (Samurai Shodown style). 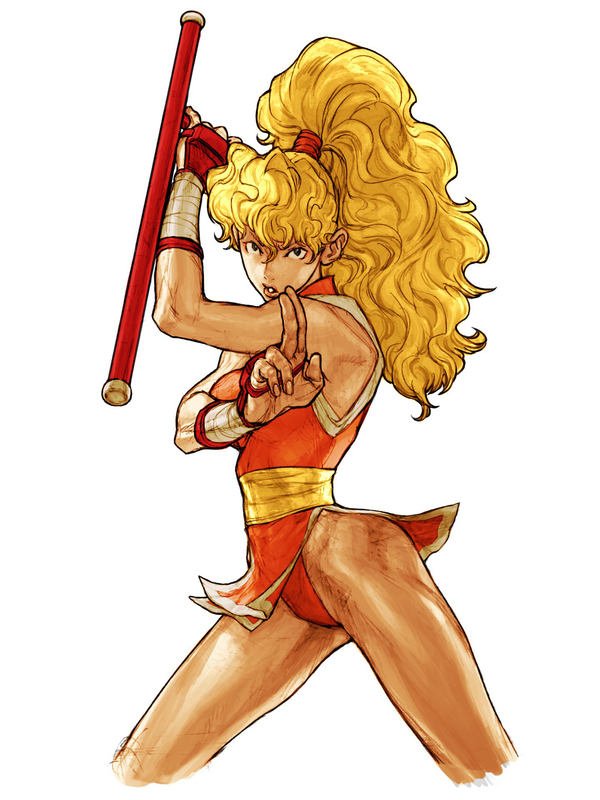 The cool thing is that any character from either company can use any of the grooves, making for tons of possibilities and gameplay strategies. 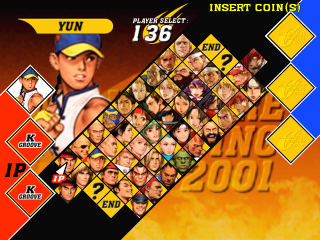 The ratio system from the first Capcom VS SNK was also greatly improved upon. 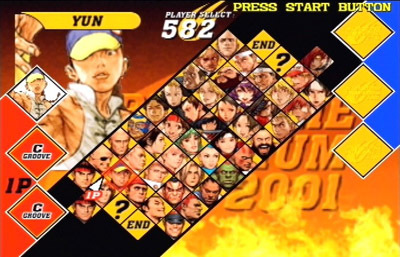 CVS2 introduces the "Free Ratio System," allowing players to assign ratio points to their team of characters in several different ways. 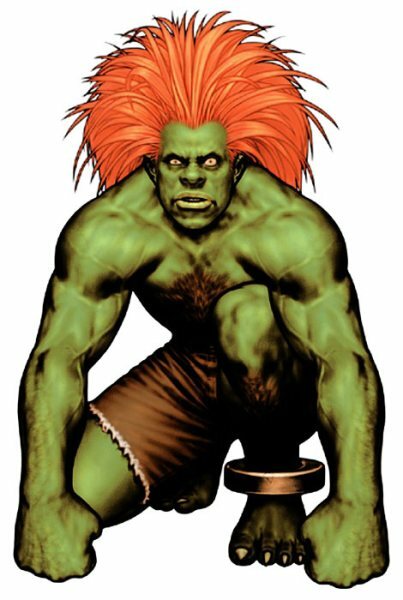 Basically, characters with the most ratio points will dish out higher damage. 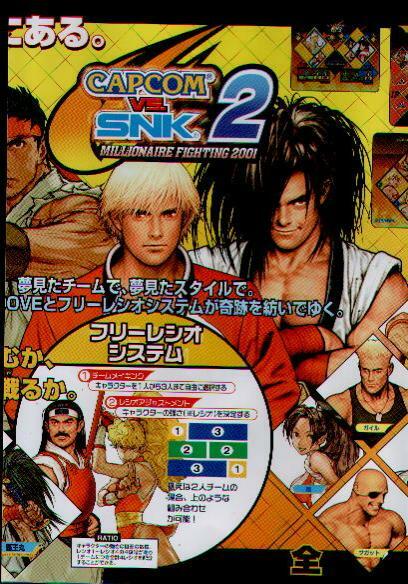 Like in CVS1, you still assign your points 2 + 2 (for a team of 2 characters), 1 + 3 also 2 characters), 1 + 1 + 2 (a team of 3 characters), or simply 4 (and fight with a single all-powerful character). 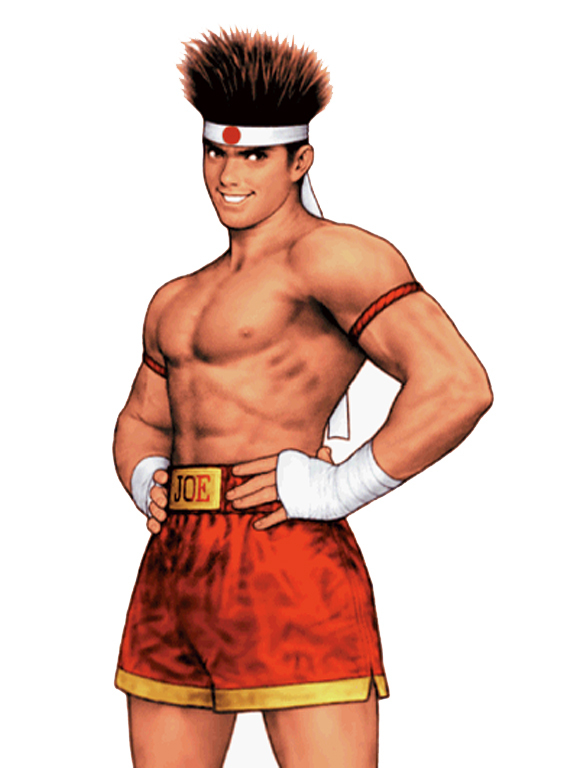 The default ratio system of CVS1 was very "restrictive"... but CVS2's ratio system is actually a really fun and strategic element of the game. Obviously, the ratio system also provides more balanced gameplay that what we saw in the prequel. Finally, if the ratio system isn't to your liking, the home console versions also include a traditional 3-on-3 match with no ratios assigned. 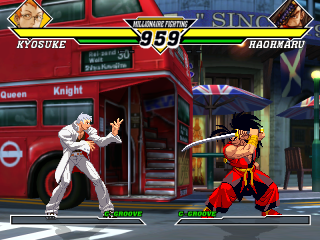 Freakin' Kyosuke & Haohmaru... in the same game!? 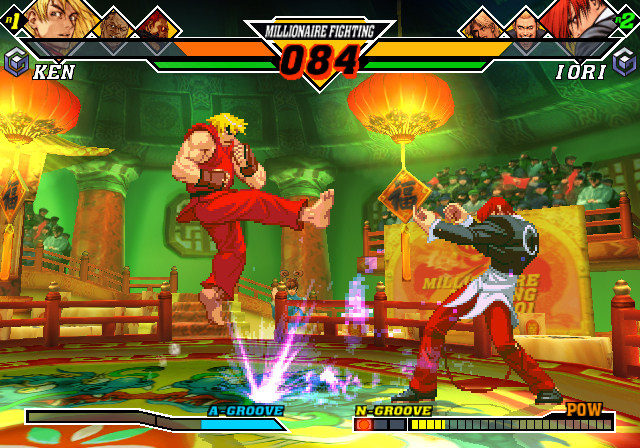 CVS2's traditional 2D graphics are sharp overall, featuring nicely drawn sprites set in front of well-rendered 3D backdrops. The stages offer decent variety... some are action packed with a lot going on in the background, some are more more quiet and serene - a good mix overall. The BGM's are a mixture of R&B and techno, and there are definitely some memorable and catchy tunes in the mix (although some others seem uninspired). The character voiceovers & sound effects are also top notch, which was a real "hit or miss" with a title such as this. The new characters introduced are also represented exceptionally well. 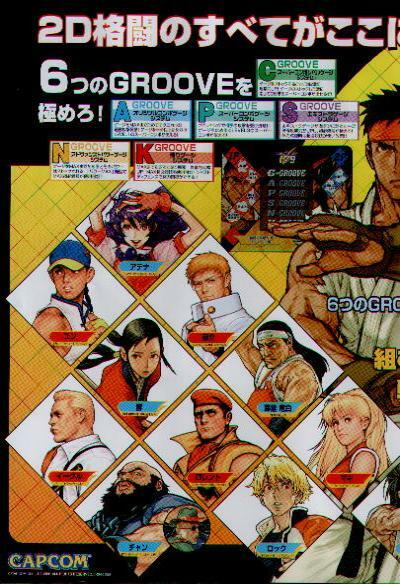 Clearly, the Capcom artists put a lot of effort into making the SNK characters look as AWESOME as possible. 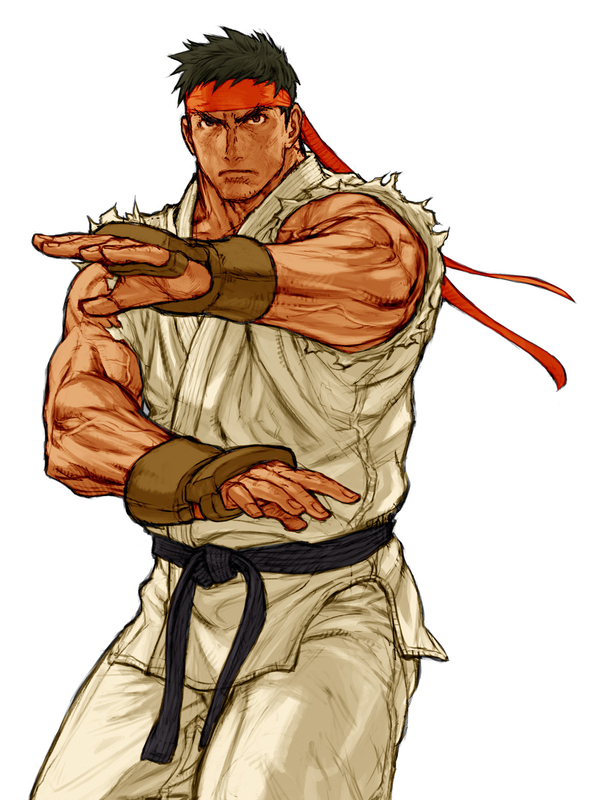 Furthermore, returning characters were given more of their classic moves and combos (which were sadly missing in the first game). 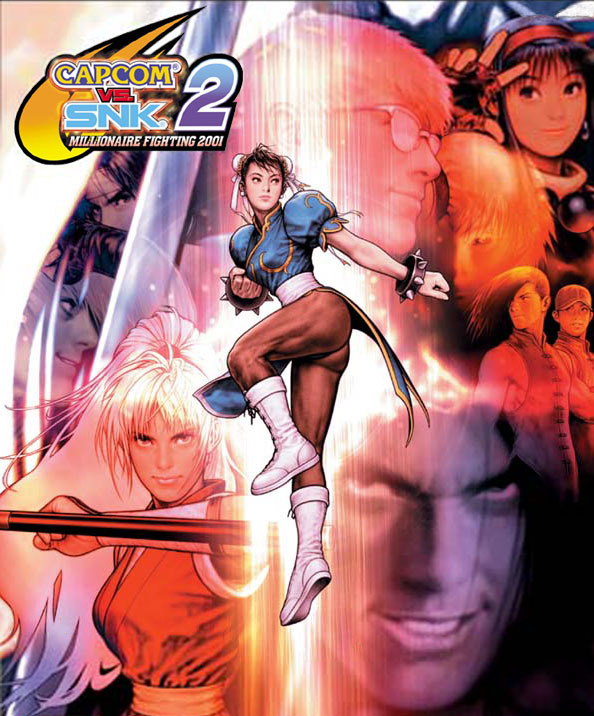 No doubt the SNK characters feel much more like did from their original games (and then some)... another massive improvement over vanilla CVS. 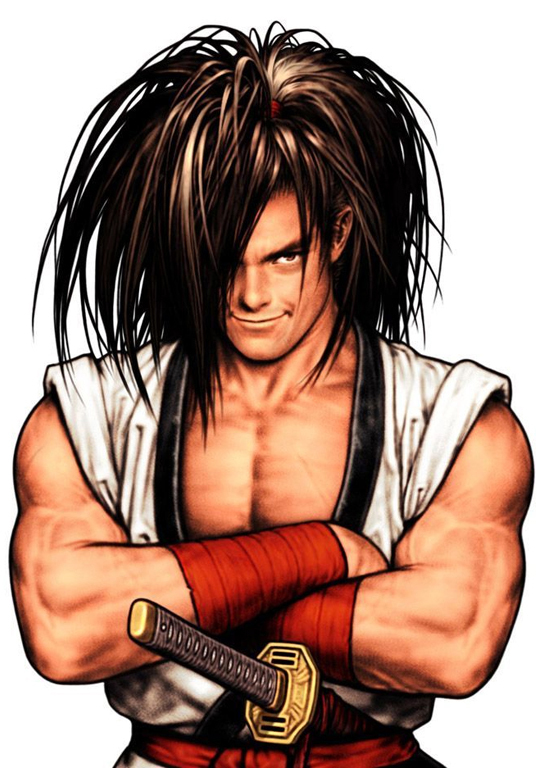 New characters like Haohmaru, Hibiki, Kyosuke, & Rock bring some much-appreciated variety, all packing convincing fighting styles and flashy super moves. 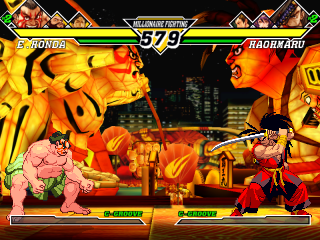 Unfortunately, the balance of this game is slightly thrown off by certain characters, particularly those from the Street Fighter Alpha series (like Sagat & Blanka (due to their ridiculous priority). 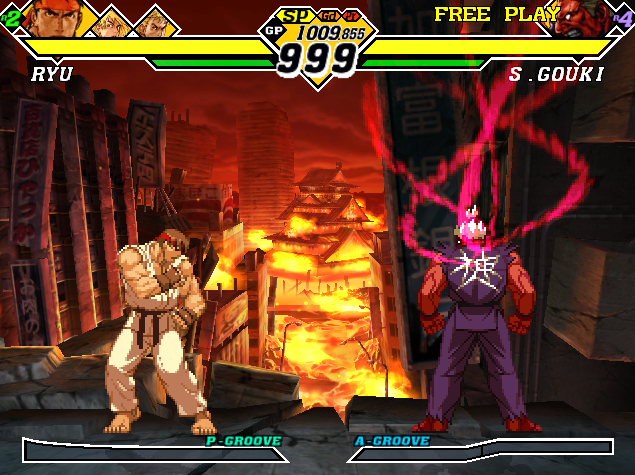 Nonetheless, all characters can be played effectively, and your success or failure can heavily depend on your chosen groove. 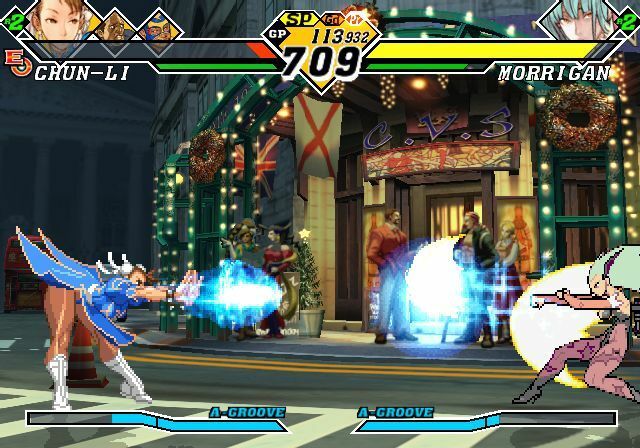 I personally like P-groove for the parrying, even though it's much more difficult to parry than in 3rd Strike... but with some practice, there are some awesomely stylish parry counters. 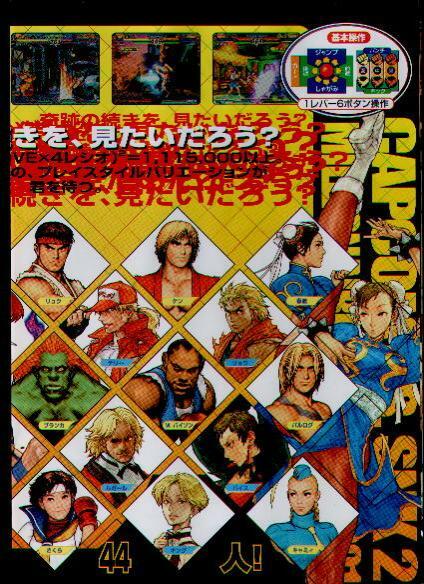 The other classic Capcom & SNK grooves are also incredibly fun once you learn different strategies and combo possibilities. 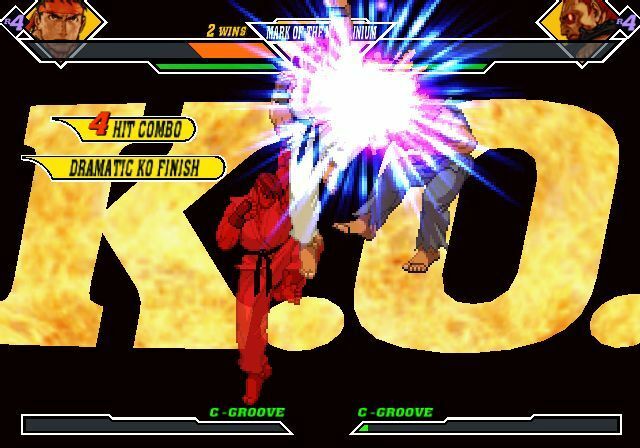 Simply put, CVS2's groove system allows you to play the game how you want to play it. Can you say innovative? Indeed. 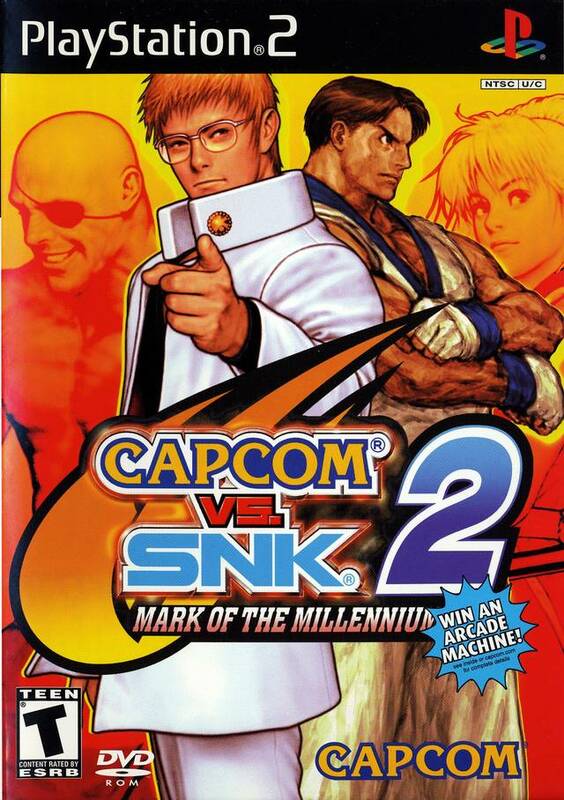 CVS2 was ahead of its time and still holds up as a solid fighting game over a decade later. 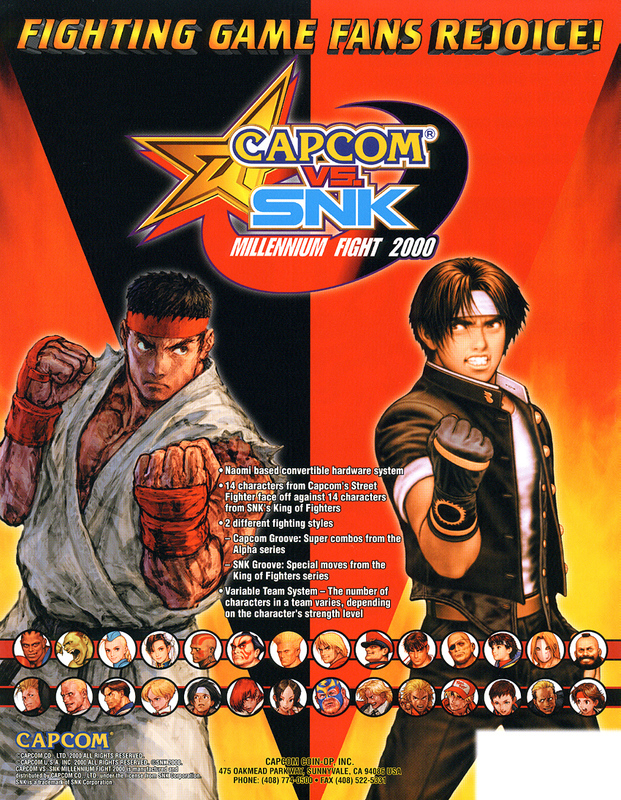 The arcade version of Capcom VS SNK 2 paved the way for some exceptional ports on Sega Dreamcast and Playstation 2. As an owner of both versions, I have to give the edge to the Dreamcast version for slightly better graphics and a closer "feel" to the arcade version. 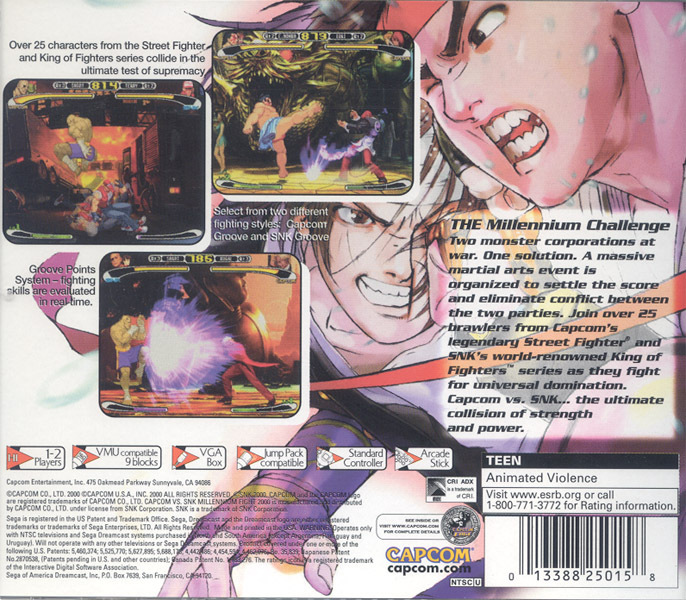 A year after the PS2 & Dreamcast release, a Gamecube version of CVS2 titled Capcom VS SNK: EO was released. The "EO" stands for "Easy Operation" which allows novice players to perform attacks simply by moving the right analog stick in a particular direction. 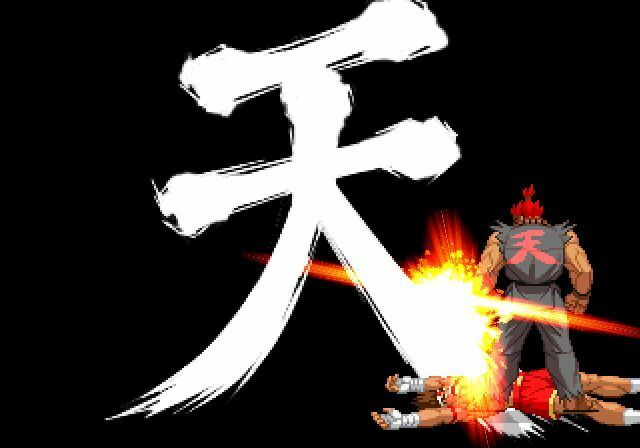 CVS2: EO also removed the infamous roll cancel glitch found in earlier versions. 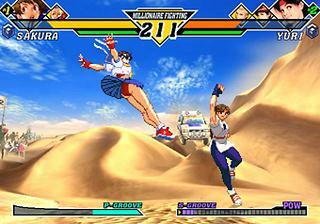 CVS2: EO was also released for Xbox, featuring online player and progressive-scan (480p) support. 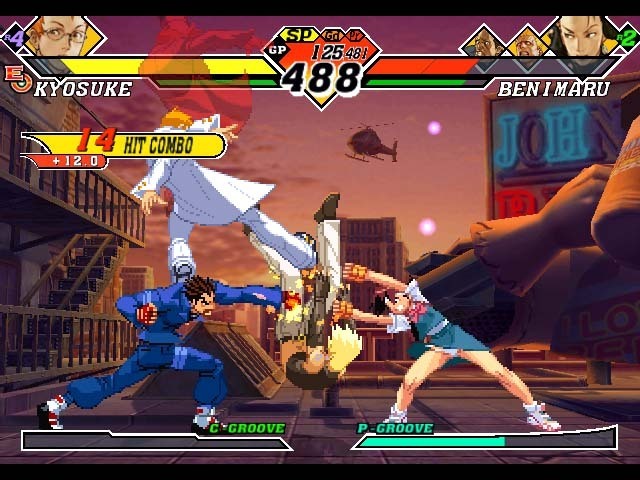 Final Words: CVS2 isn't the most amazing-looking or "flashy" 2D fighting game around, but the dynamic gameplay options and brilliant character roster make it one of the best fighting games of its time. 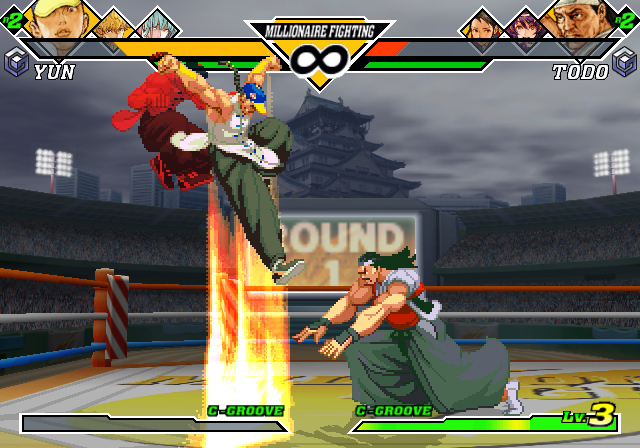 As a lover of "traditional" 2D fighters, there's a lot that I love about CVS2. 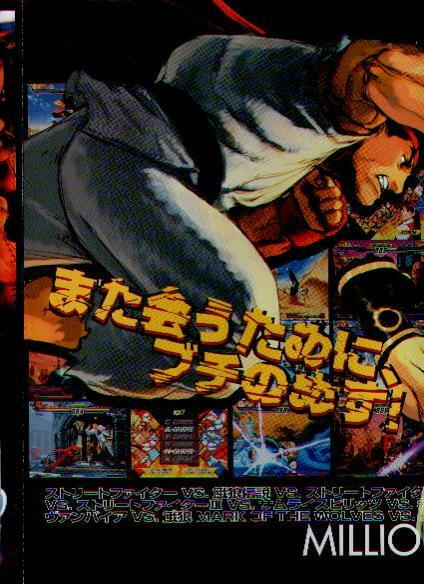 While CVS2 is a lot of fun in casual or semi-high level play, the game is more-so a "mess" in high-level, tournament play. 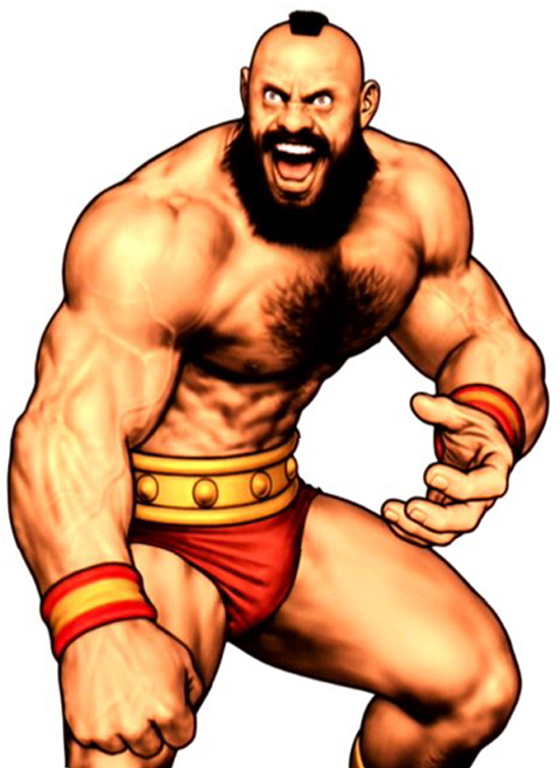 In a nutshell, some pokes are simply overpowered and "easy to use" grooves, combos & poke-friendly characters are commonly picked to dominate... come on guys, stop picking Sagat. Then there's "roll canceling," another flaw in the gameplay which allows players to dodge enemy attacks and quickly counter, causing certain attacks to have unintended invulnerability. 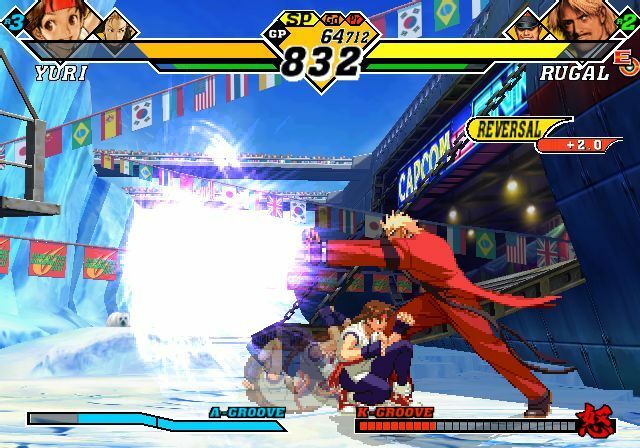 As previously stated, CVS2: EO fixed the roll cancel glitch. 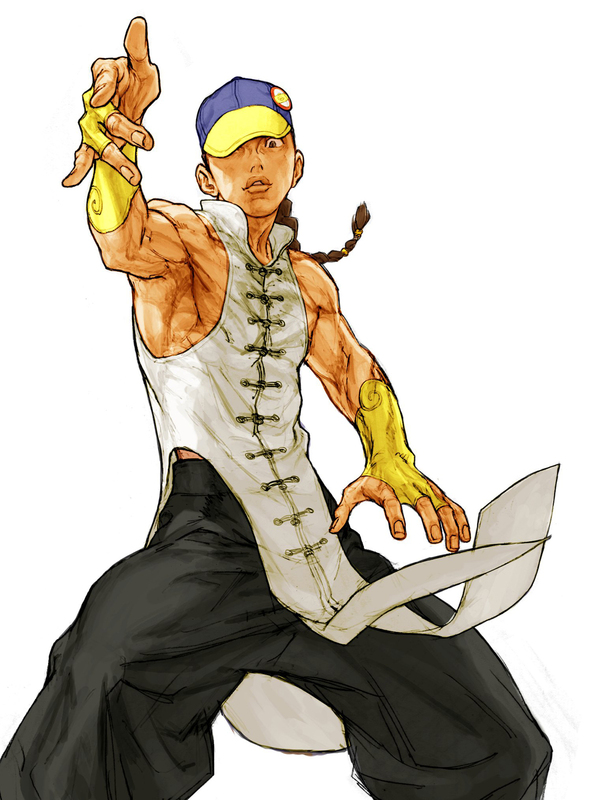 From an artistic standpoint, the new character artwork of CVS2 is a definite improvement over CVS1's. 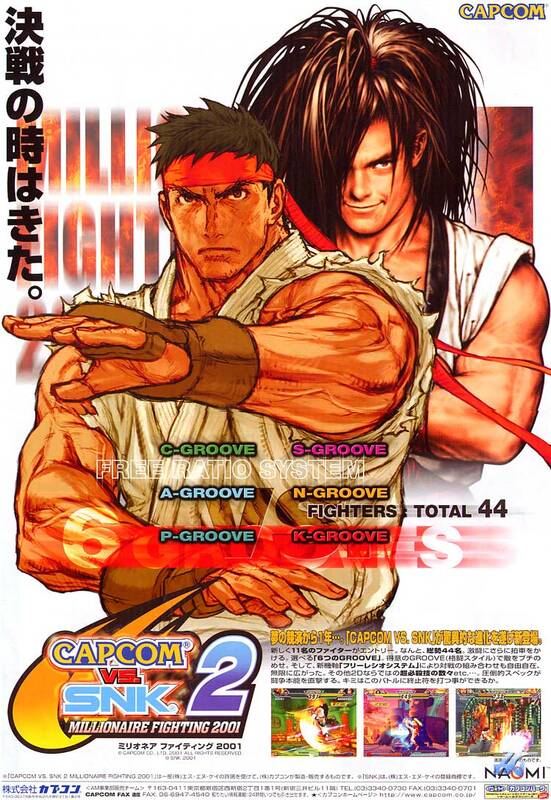 Shinkiro & Kinu Nishimura simply showed off this time. In-game, the art style translates well for "new" sprites... but some of the older character sprites (SFA / Darkstalkers) don't always match. As far as stage designs go, I wish there were more stages... and perhaps some classic, reimagined stages instead of only new ones.